Welcome to Patrick Realty in Minong, WI! 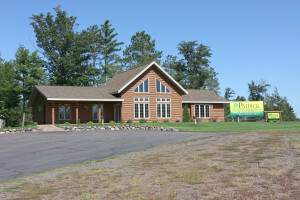 Patrick Realty in Minong, Wisconsin offers real estate services for buyers and sellers of Northwest Wisconsin properties for sale including waterfront homes, lake cabins, residential houses and hunting land. We have created patrick-realty.com to provide you with easy access to our Minong, Wisconsin area real estate listings including residential properties, lakefront homes, acreage and building lots, and surrounding area MLS listings in the communities of Minong, Spooner and Hayward, Wisconsin. We invite perspective buyers and sellers of Northwest Wisconsin real estate to look at all the beautiful properties for sale that Patrick Realty has to offer. Maybe you can find your “little piece of paradise” here in the Minong, Wisconsin Area of Northern Wisconsin. Check back often as we add more attractive real estate listings including homes and lots on popular area lakes like Minong Flowage, Gilmore Lake, Spooner Lake & More! If you have questions or require additional information about the Minong, Wisconsin real estate market, please call (715)-466-5600 or email Patrick Realty. We will respond promptly.